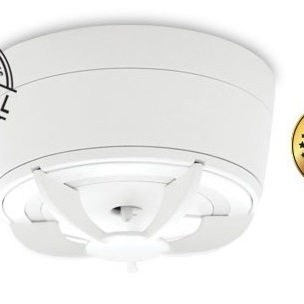 n pure CAVIUS cone shape design, the new CAVIUS Mains Powered Smoke Alarm device 110-230V AC is featuring a wireless interlink and CR2 Lithium battery back-up. 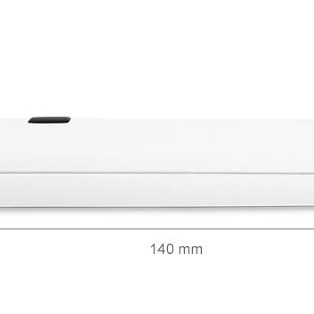 You can connect the alarm to other CAVIUS Wireless Alarm Family range using the easy to connect learn switch, placed on the back of the alarm. Divided in two major parts, the smoke alarm unit and the power supply unit, it can be installed in a base on the ceiling or directly in a conduit box in the ceiling. 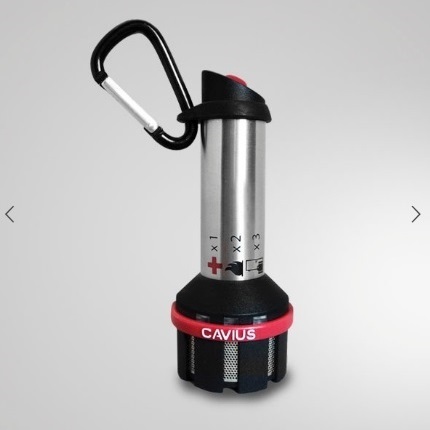 CAVIUS Mains Powered Smoke Alarm can work as a lamp outlet or lamp hook, to avoid an extra spot on the ceiling. The alarm is designed with a built in slot for vacuuming the smoke chamber from distance. Furthermore, the test button is incorporated in the top which makes it easy to test during vacuuming. 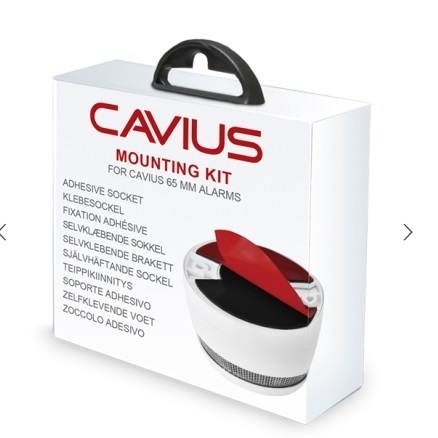 The CAVIUS wall mounting base with probe is an accessory option for the flood alarm. 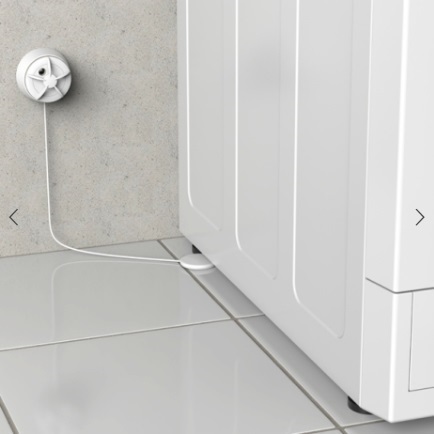 For installation in basements with risk of flooding or areas with difficult accessibility. Place the flood alarm base on the wall and the probe on the floor. 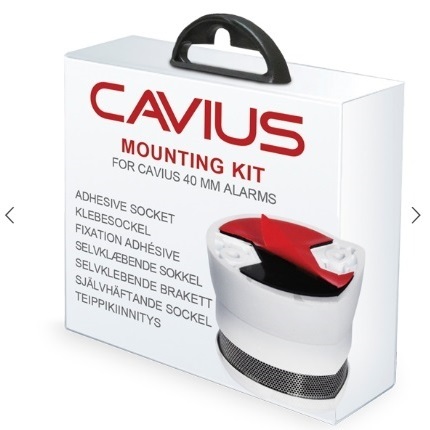 The CAVIUS Mounting Kit contains one base with double sided tape, quick and easy to mount and with extra screw kit. For ceiling mounting. Not suitable for vinyl wallpapers, polystyrene, non-stick and silicone coatings. CAVIUS has created the Smart Remote for the Wireless Alarm Family range. The communication between the alarm devices and the remote is unique. If an alarm occurs, the CAVIUS Smart Remote will activate and help you escape. Remote control: test your alarms from a distance. Remote pause function: in case of false alarms from cooking, smoke from your fireplace etc. 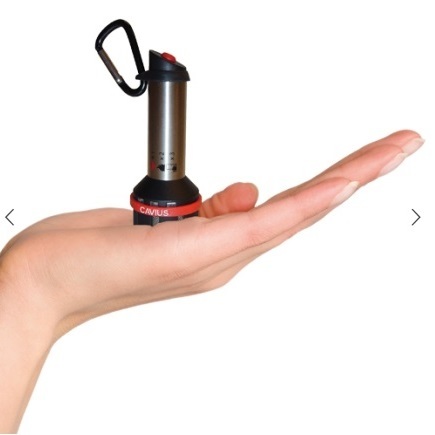 Emergency flashlight, that helps you find your way out. Grab and go magnet: includes a metal wall hanger with double sided tape, for easy mounting. CAVIUS still comes breaking design codes with its new Wireless Flood Alarm, designed with a 5 year battery life, 5 year warranty and a 85dB(A) siren to warn the family against flood in basements. Part of the CAVIUS Wireless Alarm Family, It is able to link with other safety devices and thereby be alert to any kind of unpleasant household threads. CAVIUS has invented the World’s Smallest Wireless Heat Alarm to enhance its Wireless Alarm Family. This Heat Alarm is designed for the kitchen, or other areas where smoke may occur without a fire. Eg by the fireplace, garages etc. CAVIUS heat alarm is a thermo sensitive detector with wireless technology, detecting rapidly increased heat or absolute heat level. 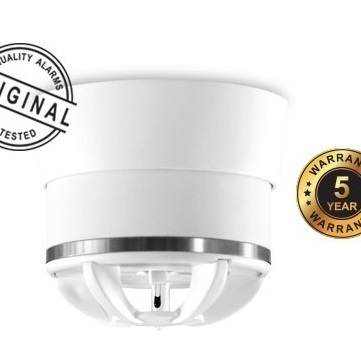 Its compact 65mm cone shape design includes a 5 year battery, 5 year warranty, a powerful 85dB(A) siren at 3 meters and a wide and easy to access test button which also allow to activate a 10 minutes pause function. The Heat Alarm Wireless Family is communicating with other detectors across features. 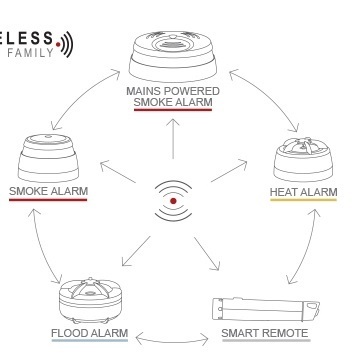 CAVIUS expertise is now extended to the world of wireless technology, with a new Smoke Alarm specifically designed to perfectly fit the modern family’s need for home safety. Your whole home is now under control. 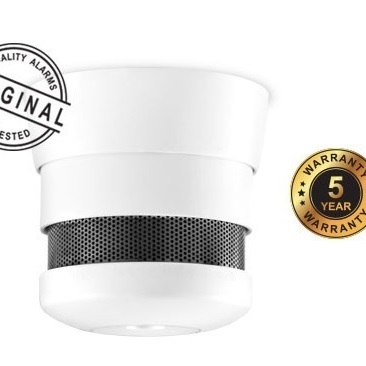 Its 65mm cone shape body includes an optical 5 years battery life smoke alarm device with wireless interlink, to be connected within a house group and with other alarms from the CAVIUS Wireless Alarm Family. Its wide and easy to access test button will allow you to check its penetrating sound of 85dB(A) at 3 meters, or to activate a 10 minutes pause function. 5 year warranty. The CAVIUS Thermal Heat Alarm is designed for areas where a fire will be more flame and heat than smoke; areas such as kitchens, garages and workshops. 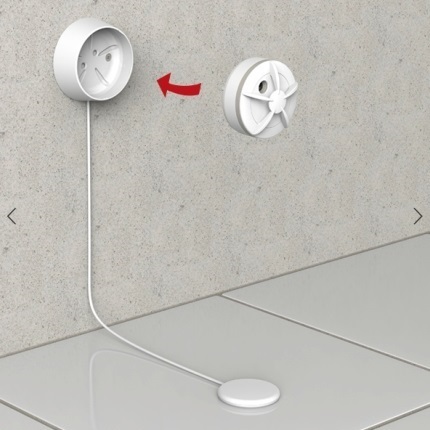 The aesthetically pleasing Thermal Heat Alarm has a 10 year long-life battery, 10 year warranty, a penetrating sound at 85dB(A) at 3 metres, a 10 minute pause option, 30 day low battery warning and uses the unique “smart clip” ceiling mechanism for installation. 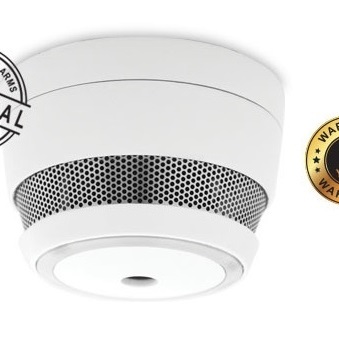 CAVIUS is the world’s smallest Photoelectric Smoke Alarm, with some big features. 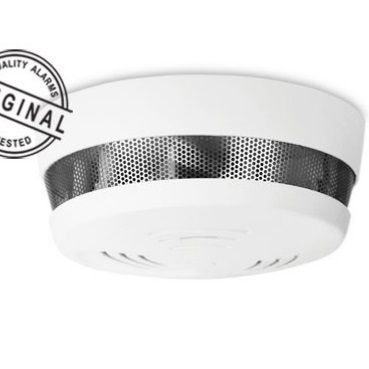 The aesthetically pleasing Photoelectric Smoke Alarm has a 10 year long-life battery, 10 year warranty, a penetrating sound at 85dB(A) at 3 meters, a 10 minute pause option, 30 day low battery warning and uses the unique “smart clip” ceiling mechanism for installation. 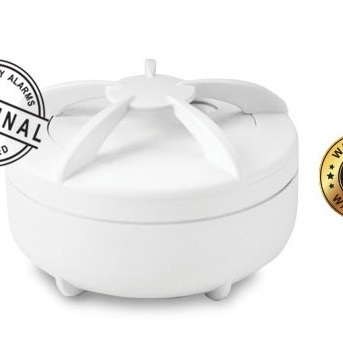 This environmentally friendly device is great value for money. CAVIUS is the world’s smallest Photoelectric Smoke Alarm, with some big features. 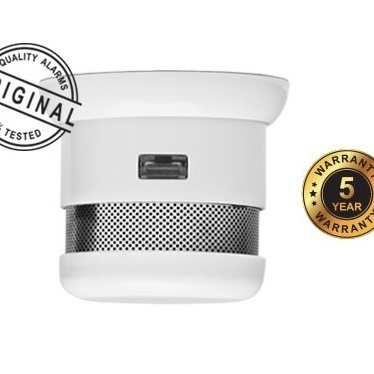 The aesthetically pleasing Photoelectric Smoke Alarm has a replaceable 5 year long-life battery, 5 year warranty, a penetrating sound at 85dB(A) at 3 meters, a 10 minute pause option, 30 day low battery warning and uses the unique “smart clip” ceiling mechanism for installation. This environmentally friendly device is great value for money.